Economist, Egyptian businessman and Member of Parliament, President of the company Hero Middle East, Secretary-General of the Neo-Wafd Party and member of the Egyptian National Council for Human Rights. President of the Moroccan Central Authority for the Prevention of Corruption. 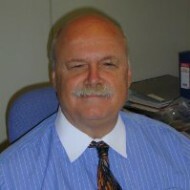 He developed an extensive experience (1974-1998) as a civil engineering consultant. 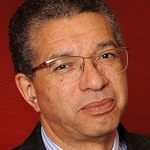 In 1998, he joined the Caisse de dépôt et de gestion (CDG) which is the main financial public institution in Morocco and was nominated in 2006 Deputy Director-General. 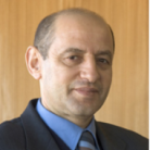 He is a civil engineer (graduated from Ecole nationale des ponts et chaussées, Paris, 1973), economist (University of Rabat, 1980) and MBA (ENPC, Paris, 2000). Managing Partner and Founder of Global Intelligence Partners (G.I.P.). He specialized in cognitive strategies and change management in complex environments, he advises clients from private and public sectors on influence and strategic monitoring issues. 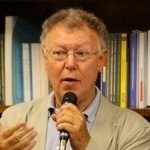 He is a regular contributor to Le Nouvel Observateur (“Plus”), Les Echos (“Cercle”) and to Atlantico.fr. He graduated from the Institut d’études politiques (Sciences Po) in Paris and the École de guerre économique (School of Economic Warfare). Honorary President of the Association Marocaine d’Intelligence Economique (AMIE), President of the Fondation des Cultures du Monde (FCM) and Vice-President of the International Chamber of Commerce in Morocco. He is also a university professor, columnist and writer. He has been a minister several times (Communication and Spokesman of the Government, Youth and Sports, Energy and Mines, State Secretariat for Foreign Affairs in charge of the Arab Maghreb Union). 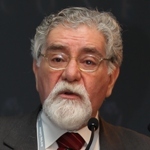 He was also CEO of the ISCAE and of the ICDT. Partner responsible for coordinating all PricewaterhouseCoopers network activities in Morocco. For many years, he worked as a statutory auditor for major French companies. 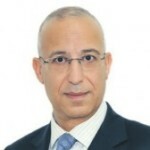 Before becoming a managing partner in Morocco, he developed and launched the PwC network’s human ressources and change management consulting services. 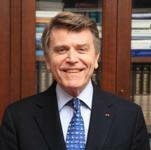 He has co-authored several books and also serves as a court expert at the Paris Court of Appeal. He graduated from HEC (a French prestigious business school). President of MTP Investment Group. Entrepreneur, venture capitalist and philanthropist who has realized great success in real estate, parking, biotech and other areas thanks to the strong values and principles acquired through his long military career. The tenets and cornerstones of his business philosophy are creativity, flexibility, persistence and an infallible moral code. He serves on the board of directors of several companies and is actively involved in charity and political organizations. Former Chairman of Merrill Lynch Investment Banking Italy. In the US State Department he was Principal Deputy of the Policy Planning Staff (1974-1977), Assistant Secretary of State for Politico-Military Affairs (1979-1981), Undersecretary of State for International Security Affairs (1989-1992), and held senior positions in the White House (NSC) and the Department of Defense. Abroad he was US Ambassador to Lebanon (1983-1986), Spain (1986-1989), NATO (1992-93) and Italy (1993-1997). 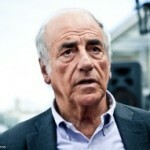 Upon retirement, he joined Merrill Lynch Investment Banking as Vice-Chairman Europe and Chairman Italy (1997-2011). He holds a B.A. from Dartmouth and a M.A. from the University of Chicago. Former Ambassador of Serbia to France. 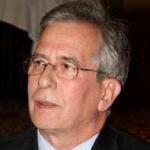 Director of the Institute for Balkan Studies, Belgrade, and President of the Serbian Committee of AIESEE (Association Internationale d’Etudes du Sud-Est Européen), he also served as Ambassador to Canada, Ambassador at large, Advisor to the President of Serbia and Ambassador to the Hellenic Republic. He holds a Ph.D. “France and the creation of parliamentary democracy in Serbia 1830-1914” from the University of Paris-Sorbonne, Paris IV. Ambassador-at-large of His Majesty the King of Morocco. 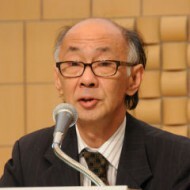 Vice-President of the Association of Moroccan-Japanese Friendship (AMJ). 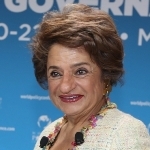 She serves on a number of boards of trustees of international organizations and think tanks, including the Institut Royal des Etudes Stratégiques (IRES). She was an International Public Law professor and Co-President of the High-level Advisory Group on the Dialogue between Peoples and Cultures in the Euro-Mediterranean Area for the European Commission. She holds a master’s degree in English literature, from Mohamed V university, Rabat and a PhD in Law from Paris II University. Senior fellow of Henry A. Kissinger for US foreign policy at the Council of Foreign Relations. 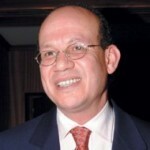 He was senior fellow at Rand Corporation (2008-2010) and United States Ambassador to India. He was also Deputy National Security Advisor for Strategic Planning under President George W. Bush. He served as Presidential Envoy to Iraq and was the Administration’s Coordinator for US policies regarding Afghanistan and Iran. 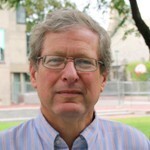 As a Harvard Faculty member, he was Associate Dean of the Kennedy School of Government. 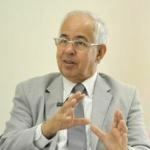 Director of National Evaluation Authority in the Higher Council of education training and research in Morocco (Appointed in 2014), Former President of Hassan II University Mohammedia Casablanca, Former dean and Professor of Sociology in Mohamed V University Agdal Rabat. 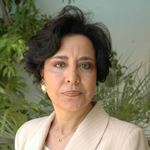 She is also member of the Moroccan Royal Academy. She has been an invited lecturer or presenter at research activities at universities in the United States, Europe, and the Middle East. She was recognized with an honorary degree honoris causa from Indiana State university in USA in 2006, from Liege University Belgium and from Université Paris Ouest Nanterre in Paris France in 2010. Head of the Energy Efficiency and Environment Division at the International Energy Agency in Paris. He has participated in the negotiations of the U.N. Framework Convention on Climate Change and its Kyoto Protocol, Nitrogen Oxides Protocol to the Long Range Transboundary Air Pollution Convention, The Montreal Protocol on Ozone Depleting Substances, and Agenda 21 of the UN Conference on Environment and Development. Dr Bradley received his PhD in Natural Resource Economics from the University of California, Riverside. 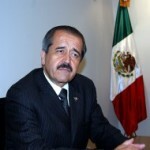 Minister of Health, Mexico. He was President of the General Council of the Electoral Institute of the State of Guanajuato, Director of the Academy of Professors and Students of the Medicine Faculty of the University of Guanajuato in which he was also full-time professor. He obtained a medical degree from the Medicine Faculty of the University of Guanajuato, speciality in internal medicine at INNSZ of Mexico, General Surgery at University Paul Sabatier of Toulouse, France. 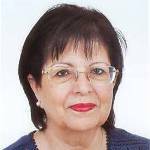 Professor at Mohamed V University, Faculty of Law, Economics and Social Science, she is also a Research Fellow at the Economic Research Forum where she is in the Board of Trustees. She has been responsible for a number of curricula and is the National Co-ordinator of the Network of Economic Research and served as an Advisor to the Ministry of Higher Education and Research. She holds a Master and a PhD in Economics with a specialisation in international trade and finance from the Arizona State University. Ambassador of South Korea to the Kingdom of Morocco. Previously, he has worked as a Director-General at the International Economic Affairs Bureau of MOFAT, responsible for Korea’s foreign policy on international economy, OECD, development co-operation and energy & climate change. He studied at Seoul National University, and was graduated from the Institute of International Studies, Geneva, Switzerland. 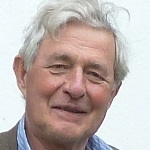 He co-authored The New Round (1995) and The International Law in the 21st Century (2001). General Manager, Coges. He attended the Army Officer Academy of Saint-Cyr and was commissioned into the Armour (Recce). He took part in many operations in Chad, Central Africa, Djibouti, Democratic Republic of Congo and Kosovo. He was assigned as the commander of the French Army Training Centre. 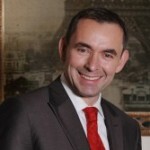 In 2007, he decided to leave the Army and became the Chief Executive Officer of Coges, a company managing the Eurosatory Exhibition and organizing the French pavilions on other exhibitions in the world. He graduated from COSSAT, the Senior Armaments Engineers School, and from the École de guerre de Paris. Partner and CEO of Corrs Chambers Westgarth, one of Australia’s leading national law firms. He is one of the three Prime Ministerial representatives on the APEC Business Advisory Counsel (ABAC), and is Chair of ABAC’s Sustainable Development Work Group, he is one of two Australian delegates appointed by the Prime Minister and Treasurer to the newly formed B20, a business reference group as part of the G20, board member on the Commonwealth Business Council and the Asia Society Australasia Centre. 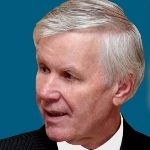 As a former diplomat with the Department of Foreign Affairs and Trade, John Denton has extensive international negotiating expertise. Chief Foreign Policy Advisor, Sherpa to President Abdullah Gül. Among various positions, he was Minister-Counsellor towards the Turkish Embassy in Washington, DC, Ministry of Foreign Affairs Spokesman, Ambassador of Turkey to Jordan and Director-General for Middle East and South Asia at the Ministry of Foreign Affairs. 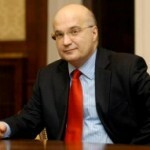 He graduated from the Ankara University, Faculty of Political Sciences and the University of Virginia, MA. 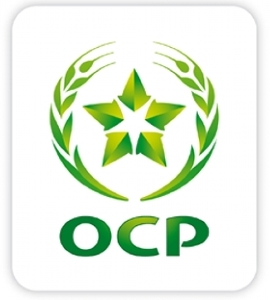 Executive Vice President, OCP Group. As Vice President of Citibank, he participated in merger-acquisition and financial engineering activities in several countries. 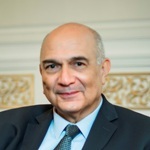 Appointed board member and CEO of Charbonnages du Maroc, he restructured the Jerada mine, then as CEO of subsidiaries and member of ONA Group’s Management Committee, turned around several major subsidiaries, including Lesieur and Centrale Laitière. He subsequently became Executive Vice President of FINCON in Geneva and Strategic Communications Group in Dubai. He holds an MBA in Finance from Stern School of Business, New York University, a PhD in Management from the École polytechnique and a PhD in Social Psychology from the University of Paris X. He co-edited the book Dubai, the New Arab Dream with Thierry de Montbrial, published in 2006 as part of Ifri’s Travaux et Recherches series. Russian Sherpa in the G8, Aide to the President Dmitry Medvedev. 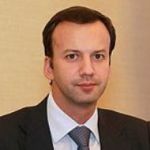 Starting as Advisor and then Head of the Economic Expert Group of Russia Ministry of Finance, he served as Expert in Strategic Development Centre and Advisor to the Minister of Economic Development and Trade. Afterwards, he joined the Presidential Executive Officer to become Head of the Presidential Experts’ Directorate. Since May 2008, he has been assuming his present responsibilities. 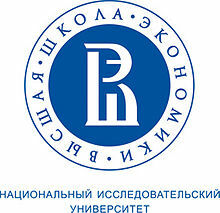 He is graduated from Moscow State University and Duke University, USA. 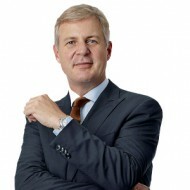 President of Lagardère News. 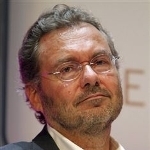 He was Director of News for Antenne 2, Chairman of France Télévision (French public service television) and personal Advisor to Jean-Luc Lagardère and Arnaud Lagardère for media strategy. Then, he was Chairman of Europe 1 and of the French Parliamentary Channel “Public Sénat”, hosting a weekly literary program called “Bibliothèque Médicis”. 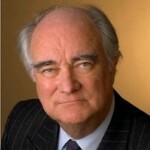 He is the author of a documentary entitled François Mitterrand: conversations avec un président, 2001. 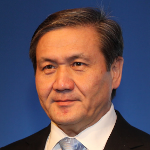 After being successively First Vice Chairman of the Culture and Art Development Committee, Minister of Culture, member of Parliament, Prime Minister, Chairman of the Mongolian People’s Revolutionary Party, Chairman of the State Great Hural Parliament of Mongolia, he was acting as the President of Mongolia from 2005 to 2009. He was Bachelor of Science in Literature and Language at the Literature Institute in Moscow, Russia, and English training at the Language Training Course of the Leeds University, United Kingdom. Chief Diplomatic Correspondent, Europe, for The New York Times, based in Brussels. 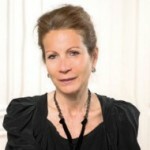 Former London, Paris and Berlin bureau chief of The New York Times. He has served in numerous postings for The Times in Jerusalem, Prague, Washington, Moscow, Bangkok and New York where he served as Culture Editor for two years. 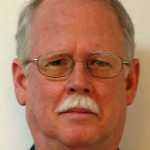 Previously, he worked for The Boston Globe as European correspondent, based in London. He also reported from Eastern Europe, Moscow and revolutionary Iran. He was a Teaching Fellow at Harvard University. He shared in a Pulitzer Prize for Explanatory Reporting for a series on Al Qaeda and global terrorism in 2002 and for International Reporting on Russia in 2017. He received an A.B. 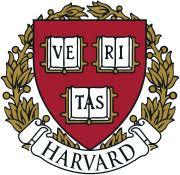 degree from Harvard College and studied Russian at St. Antony’s College, Oxford. Minister for Foreign Affairs and Co-operation. 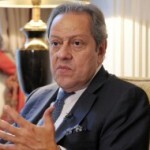 Nominated Head of the division in charge of the relations with the European Union at the Ministry for Foreign Affairs and Co-operation in 1986, he took part in the various negotiations concerning the relations between Morocco and the European Union. In 2000, as Secretary of State, he became the only official spokesman with the American authorities in charge of the negotiations for the Moroccan American free-trade agreement. First engineer involved in statistics at the Institut national de la statistique et d’économie appliquée (INSEA) of Rabat, he obtained his PhD in Analysis and Political Economics at the Institut d’études politiques de Paris. Professor of Government at Harvard University. He specializes in the politics of international economic relations. 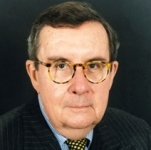 He is the author of Currency Politics: The Political Economy of Exchange Rate Policy (2015), and the co-author (with Menzie Chinn) of Lost Decades: The Making of America’s Debt Crisis and the Long Recovery (2012). 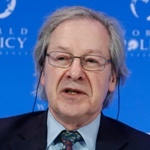 He is also the author of Global Capitalism: Its Fall and Rise in the Twentieth Century (2006), of Banking on the World: The Politics of American International Finance (1987), of Debt, Development, and Democracy: Modern Political Economy and Latin America, 1965‑1985 (1991), and is the co-author or co-editor of over a dozen other books on related topics. His articles on the politics of international economic issues have appeared in a wide variety of scholarly and general-interest publications. 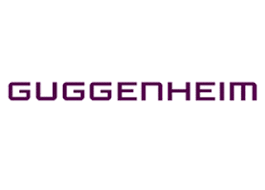 Managing Director for Guggenheim Partners and a senior member of the Marketing and Sales team for Guggenheim Investment Advisors. 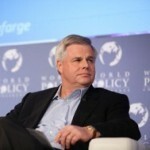 Prior to joining Guggenheim in 2005, he served as Deputy Chief of Staff to Governor Sonny Perdue of Georgia and also served in the White House as Special Assistant to the President George W. Bush for Economic Policy. He holds a BA degree from Davidson College in North Carolina. Ambassador of the Plurinational State of Bolivia to France. Former Head of the Graduate Program in “Public Policy and International Relations of the European Union”, at the Catholic University “San Pablo” of La Paz, Bolivia. He served as Director-General of Bilateral Relations of the Ministry of Foreign Affairs on the Plurinational State of Bolivia. 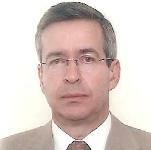 He has extended professional experience on international relations related to migration and international cooperation. 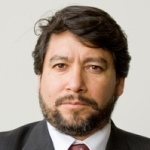 Professor at various main universities of Bolivia and Mexico. Publication: Les Migrations boliviennes et la mondialisation, Editions Syllepse, Paris, 2004. Former Prime Minister, South Korea Republic. 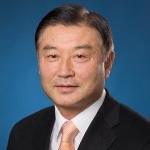 He served as Minister of Trade and Industry, Korean Ambassador to the US, Chief of Staff to the President, Deputy Prime Minister and Finance Minister, and Minister of Foreign Affairs. He was the President of the 56th Session of the UN General Assembly, Chair of the 2009 OECD Ministerial Council Meeting and Special Envoy of the UN Secretary-General on Climate Change. He received the Nobel Peace Prize on behalf of the United Nations in 2001 and was awarded an Honorary Knighthood from HM Queen Elizabeth II of the United Kingdom in 2004. Founding Secretary General of The Global Foundation, the Australian-based citizens’ organization concerned with shaping major global issues, including global food security, green growth, the digital economy and empowerment and better governance. He has served as Chair of the Advisory Board for the international television service of Australia’s national broadcaster. Concurrently, he is a private advisor to a number of global companies and institutions, with a particular focus on China, Indonesia, Europe and Australia. He was Vice-Chairman of the Global Private Equity Association. He was awarded the Ordre national du Merite by the Government of France in 2004 for services to dialogue between France and Australia. Special Envoy of the Government of Japan for the Middle East and Europe. Among various positions within the Ministry of Foreign Affairs of Japan, Yutaka Iimura was appointed as the Minister for Political Affairs at the Embassy of Japan to the United States, the Ambassador Extraordinary and Plenipotentiary of Japan to Indonesia and to France. He was a Fellow at Harvard University, the Center for International Affairs and a member of thejury of the Ambassadors Award (prix des Ambassadeurs) in France. 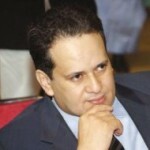 Entrepreneur, Member of the Moroccan Parliament, on behalf of the National Rally of Independents (RNI), former president of the AFEM (Moroccan Women Entrepreneurs’ Association), Vice President of the Association “Club Entreprendre”, member of the school board of the IRFCJS (Royal Institute of Training of Youth and Sports Administrators). She is currently managing the three companies that she set up, Locamed, Orhtoprotech et AKR. She is a founding member of the MENA Arab Network of Businesswomen. In 2010, she participated in the national debate on media and its future in the Moroccan society and she contributed to the creation of a white paper about it. She holds a doctorate in Pharmacy from the University of Paris XI. American Ambassador to Morocco. 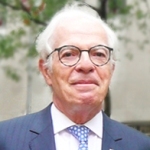 He is founding member and President of the Kaplan, Strangis and Kaplan law firm and member of the board of directors of several listed corporations. He served as one of the managers of John Kerry’s presidential campaign in 2004 and member of Barack Obama’s National Finance Committee. 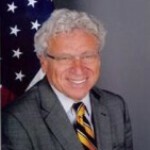 Ambassador Kaplan received business administration and law degree from the University of Minnesota, where he was elected President of the Law Review. Managing Director of Future Standards (SL) Ltd, Enterprise. Former Minister of Foreign Affairs of Sierra Leone, Minister of Presidential Affairs and Minister of Energy and Environment. University professor, physicist, environmentalist and also expert on renewable energy, he took part in the setting up of the Peace Building Fund for Sierra Leone together with the United Nations for peace consolidation after the war in his country. 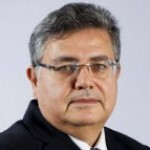 Journalist and a media specialist, he is Editor-in-chief of Revue Economia and Managing Director of the CESEM, HEM’s Research Center (HEM is a leading Moroccan Business School). He leads the Moroccan think tank Collectif Stratégie. He is also a literary critic and a member of many international magazines editorial boards. His novel Ma boîte noire was published by Le Grand Souffle, Paris, and Tarik Editions, Casablanca. 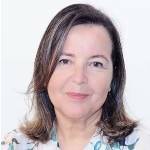 Professor of Philosophy of law at University of São Paulo and President of FAPESP (São Paulo Foundation for the Advancement of Research). He was Minister of Foreign Relations, Minister of Development, Industry and Trade, Ambassador-Permanent Representative of Brazil to the WTO, the UN and the specialized agencies in Geneva. In 2006, he was the Countries and Cultures Chair at the John W. Kluge Center in the Library of Congress, Washington, DC. He holds a PhD at Cornell University, Ithaca, New York. Ambassador, Head of the European Union Delegation in the Kingdom of Morocco. Embarking very early on a political career, he became a member of Spain’s Basque Parliament in 1980, representing the Spanish Socialist Workers Party (PSOE). Turning his attention to the European Community, he was appointed as the European Commission’s Director-General for Regional Policy and Cohesion in 1986. From 2000 to 2003, he served as the Commission’s Director-General for Enlargement, being ship negotiator with candidate countries. 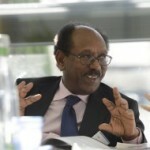 He served as the Commission’s Director-General for External Relations (2003-2009). He is a member of the Board of Directors of the Notre Europe think tank, founded by Jacques Delors in 1996. 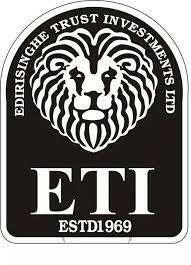 Investment Banker, LionTree. Former Executive Committee member and managing partner of Oddo Corporate Finance. 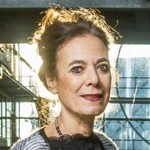 After stints at Euris, an equity fund, and Editeuris, which holds Euris’s shares in various publishing and media groups, she became CEO of Compagnie européenne de presse professionnelle. She then created her own business, Intermezzo, an advisory M&A firm specialized in media. 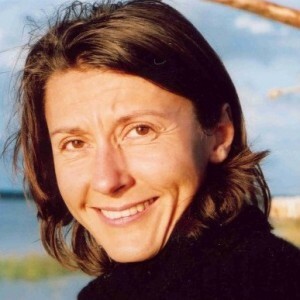 In 2003, she partnered with Jean-Marie Messier to found Messier Partners LLC. Three years later, she created Partanéa, a small investment bank with shareholders worldwide. 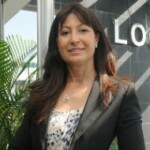 In 2008, she sold the bank to Oddo & Cie, where she currently works. She graduated from the Institut d’études politiques de Paris and received financial analyst training at the Société française des analystes financiers. Chairman of Lee International IP & Law Group and of Infinite Ldt. since 1985. 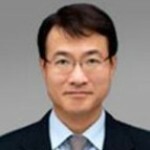 He is also Director of the Digital Times since 2011 and Director of the Pearl S. Buck Foundation Korea since 2007. 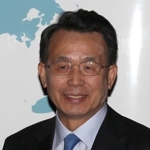 He serves as Honorary Advisory Counsel to the Korean Ministry of Foreign Affairs and Trade since 2006. 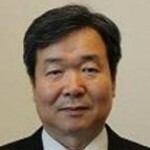 He is a non-executive Director, PoongSan Corporation and Director of the Security Management Institute. He graduated from Georgetown University, Columbia University and Seoul National University. 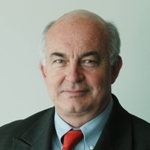 Member of the Board of Bruno Kreisky Forum for International Dialogue; of International Law Institute (Washington, Kampala); Chairman of the Board CARE Austria. He was Special Envoy for Africa of the Minister for Foreign Affairs of Austria (2005-2010). 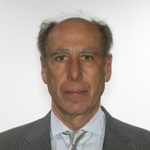 He served as Permanent Representative of Austria to OECD, Paris (1982-1993). In 1978, he entered the Cabinet Office of Federal Chancellor Dr. Bruno Kreisky with responsibility for foreign relations; he was sherpa for the preparation of the first North-South summit in Cancun (1981). He entered the Federal Ministry for Foreign Affairs in 1965. He studied Law and Political Science in Graz, Bologna (Johns Hopkins) and Chapel Hill (N.C., US). 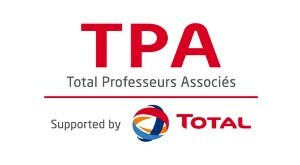 Executive Vice President, Sustainable Development and Environment, at Total. She served as Vice President-Exploration in Norway before becoming Total’s Vice President-Geosciences in the United States in 2000. In 2004, she was appointed Vice President-R&D at Total Exploration & Production, responsible for all programmes designed to secure the technologies and capabilities required for future oil and gas exploration, production and development, while addressing the full range of technical, business and environmental issues. Ms. Lepoutre is a graduate of the École nationale supérieure de géologie de Nancy (ENSG) and the École nationale supérieure des pétroles et des moteurs (ENSPM) engineering school. 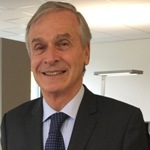 French Ambassador to the Czech Republic and former Director of the Policy Planning Staff of the Foreign and European Affairs Ministry of France. Former Secretary General of the Commission of the White Paper on France’s Foreign and European Policy, Head of the Service for Common Foreign and Security Policy and Deputy Director of the Cabinet of Pierre Moscovici, Minister for European Affairs. 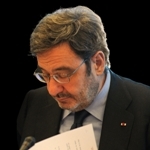 He holds degrees from the Ecole européenne des affaires (ESCP-EAP) and the Institut d’études politiques de Paris. He also graduated from ENA. 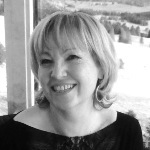 Director of the International Centre for Defence Studies (ICDS, Estonia), she previously worked as the Editor-in-chief of the magazine Diplomaatia and hosted the current affairs talk show Välismääraja at radio Kuku. She was also the foreign news Editor of Estonia’s largest daily paper Postimees after having served as its correspondent in Moscow. She has a Master’s degree in Diplomacy from Lancaster University, UK and graduated in journalism from Tartu University in Estonia. 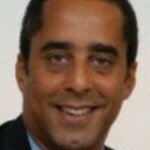 Yacin is the PwC Financial Services Advisory Leader for France and member of the EMEA FS Leadership Team. 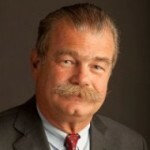 He has significant experience advising FS companies on risk and performance management transformations. 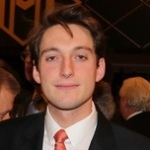 He worked for Global universal banks and insurance companies as well as for specialized players in the investment banking, retail banking and specialized finance. 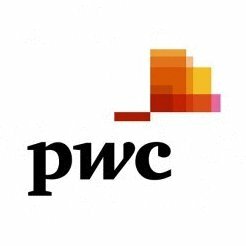 Before joining PricewaterhouseCoopers, he worked for an international investment bank in London and for a Global Audit & Consulting Firm in London, New York and Paris. Yacin is a MBA graduate from the University of Chicago and the Ecole Supérieure de Commerce de Rouen. 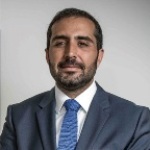 Appointed Managing Director of Studies and Documentation (DGED) by HM Mohammed VI, he has been in turn Wali and Managing Director of Foreign Affairs for the Ministry of Internal Affairs. His negotiation skills allowed him to play an active role in the normalization of Spanish-Moroccan relations, mainly through his work on joint measures against illegal emigration and drug traffic. President of Mercer & Associates, a government and public affairs consulting firm. 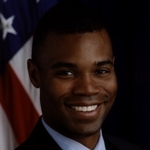 Previously, he served as the Deputy National Finance Director for the Democratic National Committee and as Finance Director for Operations for the DNC’s 1996 Democratic Convention. He has also held senior roles ranging from strategic communications to convention delegate operations in five presidential campaigns. In the private sector, he worked with Procter & Gamble, Citizens Energy, the Bank of Boston and the Monitor Channel. 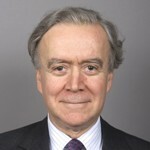 Senior Advisor at Ifri, member of the Cercle des économistes and President of Société d’économie politique. 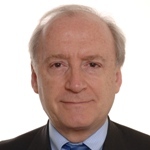 He served as Head of Economic Studies at Ifri, member of the Conseil d’analyse économique, Minister-Financial Counselor to the Embassy of France in the United States (2001-2006). 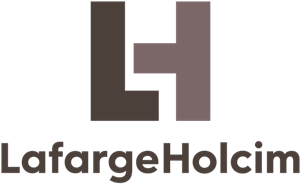 He held various positions in the AXA Group (1992-2000). 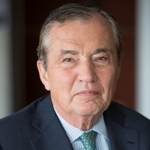 He served as Economic Advisor to then-Prime Minister Michel Rocard (1988-1991). 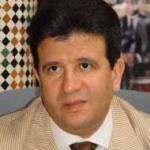 He graduated from Ecole Polytechnique and holds a PhD in economics from the University Paris I.
Advisor to King Mohammed VI. He previously served as Minister of State to the Prime Minister for Parliamentary Relations in the government of King Mohammed Karim Lamrani III and Policy Officer in the Royal Cabinet. He graduated from the Rabat Faculty of Law and later earned a PhD in Political Science. 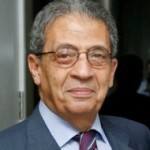 His books include L’Expérience parlementaire au Maroc (The Parliamentary Experience in Morocco) and Le Régime politique marocain (The Moroccan Parliamentary Regime). Researcher at Ifri and co-editor of its annual report, RAMSES. He is a graduate of IEP-Paris and of the École nationale d’administration (ENA). As a diplomat, he has held various administrative posts relating to the European Construction. He has taught at Sciences-Po Paris and in several universities. He is the author of many books and articles on international relations, geopolitics, global governance and the construction of Europe. His last two books are: L’histoire du monde pour les Nuls (The World History for Dummies), First-Editions, Paris; 2010; L’histoire de l’Europe pour les Nuls (The European History for Dummies), First-Editions, Paris; 2013. Principal of First Charnock Pty Ltd, Australia. 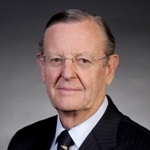 He is also a member of LafargeHolcim International Advisory Board, as well as Trustee Emeritus of the Asia Society New York, Chairman Emeritus of the Asia Society AustralAsia Centre, President of the National Gallery of Victoria Foundation and Chairman of the Order of Australia Association Foundation. 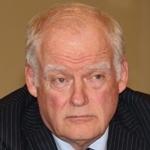 He was a board member of the Reserve Bank of Australia (1981-1984 and 1996-2007). He graduated from the University of Melbourne. Director General of the Royal Institute for Strategic Studies since 2007 (Rabat, Morocco). He is the Honorary President of the Moroccan Association of Regional Science, and a member of various scientific committees. In 1979, he joined the Prime Minister Department. He held various positions within the ONA Group. 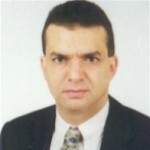 He was Director of Studies and Financial Forecasts at the Ministry of Economy and Finances (Morocco) (1995-2003). In 2003, he was appointed at the Royal Cabinet, as in Charge of Mission. He graduated from the Ecole Polytechnique and the Ecole des Mines, Paris. CEO of the Energy Efficiency Moroccan Agency (AMEE) and Head of the Public Private Partnerships at COP 22 committee. He is also President of the Energy, Climate and Green Economy Commission at the General Confederation of the Moroccan Companies (CGEM) and President of the Moroccan Center for Clean Production. He has in the past worked within the Cabinet of the Minister of Energy and Mines and counseled various national and international organizations like the Mohammed VI Foundation for Environmental protection, BMCE Bank, World Bank and UNDP. 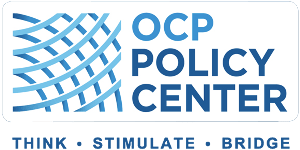 He was advisor to the President of OCP. He graduated from the Institut National Polytechnique (Grenoble, France) and the University of Pennsylvania (Philadelphia, PA). 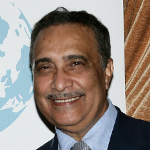 6th Secretary General of the League of Arab States. 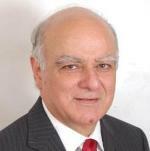 He was Director of the Department of International Organizations, Ministry of Foreign Affairs and Ambassador to India. In 1990, he became the Permanent Representative of the Arab Republic of Egypt to the United Nations, New York and the year after, Minister for Foreign Affairs. He graduated from Cairo University, LLB Faculty of Law. Associate Editor and European Economic Columnist of the Financial Times. Together with his wife, the economist Susanne Mundschenk, he runs Euro- intelligence.com, an internet service that provides daily comment and analysis of the euro area, targeted at investors, academic and policy makers. He was one of the founding members of the Financial Times Deutschland where he served as Deputy Editor and then Editor-in-chief. 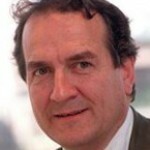 He holds a MA in International Journalism at the City University, London. 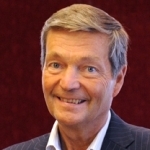 His book Vorberen, on the financial crisis, has received the prestigious GetAbstract business book award and is now published by McGraw Hill in the US. Chairman of Centaurus Capital, a private investment management company he founded in 2000. 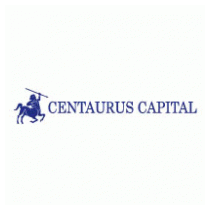 Centaurus Capital is located in London and Hong Kong, and invests in Europe, Asia and the emerging markets. 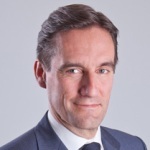 Bernard Oppetit is a Director of Natixis, and of Tigers Alliance (Vietnam), he sits on the Supervisory Board of HLD and the Advisory Board at Ondra Partners. He joined Paribas in Paris in 1979 where he served as Global Head of Equity Derivatives in London (1995-2000) and then Head of Risk Arbitrage at BNP Paribas in London. He graduated from the Ecole Polytechnique in Paris. G8 Sherpa, Deputy Minister for Foreign Affairs of Japan. 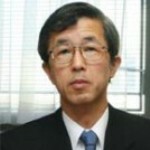 Among various positions within the Ministry of Foreign Affairs of Japan, he was appointed as the Minister for Economic Affairs of the Embassy of Japan to France, the Director-General for African Affairs and as the Director-General of Economic Affairs Bureau. 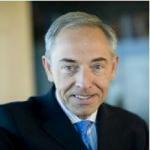 Former Chairman for Europe of Promontory Financial Group and President of Notre Europe. 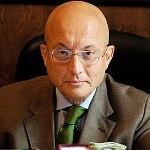 He was Minister of Economy and Finance of Italy, Chairman of the Trustees of the IASC Foundation and member of the Executive Board of the European Central Bank. After having been General Director for Economic and Financial Affairs at the Commission of the European Communities, he has been Joint Secretary to the Delors Committee. He graduated from the Luigi Bocconi University and has a MSc from the Massachusetts Institute of Technology. International affairs Editor of the Financial Times, he is also an associate Editor, responsible for leader and feature writing. 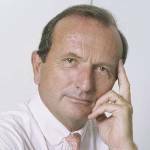 Working at the FT since 1975, he served successively as southern Africa correspondent, Africa Editor, European Community correspondent and Brussels bureau Chief, Moscow correspondent and chief correspondent in Germany. On his return to London, he became foreign Editor. He was educated at Queen’s College, Cambridge, where he studied Economics with French and German. 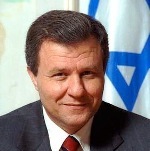 Member of Parliament since 1988 and member of several Knesset committees including the Economic Affairs and Foreign Affairs and Defense Committees. He served as Deputy Prime Minister and Minister of Defense, until June 2007.Born in Morocco, he emigrated to Israel at the age of four. 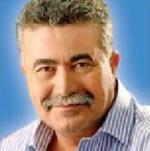 He was elected Mayor of his town Sderot in 1983, bringing the left back to power. He publicly voiced his support for an independent Palestinian State and led peace-promoting initiatives between residents of the town and their neighbors in the Gaza Strip. Chief Executive Officer, EFG Bank European Financial Group SA. 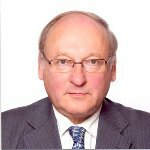 He is a member of the Board of Directors of EFG International and of EFG Bank AG. He is also a member of the Board of various subsidiaries of EFG Group. 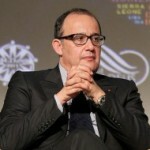 Previously, he was Senior Vice President and General Secretary of Banque de Dépôts, Geneva. He also worked for the Union Bank of Switzerland in Zurich (1978-1980). He holds a PhD in Theoretical Physics and a post-graduate degree in Industrial and Management Engineering from the Swiss Federal Institute of Technology in Zurich. Regular contributor to The New York Review of Books; he has also written for The New Yorker (from 1971 to 1992), Foreign Affairs (New York), Commentaire (Paris), Neue Zürcher Zeitung, Politica Exterior(Madrid), etc. For a quarter century he wrote a political column for The International Herald Tribune in Paris. Author of nine books on American foreign policy, international relations, nationalism, political romanticism and utopianism, etc. The most recent of these books, The Irony of Manifest Destiny: The Tragedy of American Foreign Policy, dealing with the present American crisis, was published in 2010 by Walker & Co. in New York. CEO, Alma Consultance. 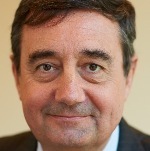 Former Vice President, International and Marketing, Areva France. After holding many diplomatic posts with the United Nations in Asia, North Africa and the Middle East, he became an Advisor to former Foreign Minister Hubert Védrine, for North African, Middle East and United Nations Affairs. After serving as French Consul General in Ho Chi Minh City, he joined, for the second time, the French mission to the United Nations as Political Counsellor. In late 2005, he became Deputy Director, Far East Asia, responsible for bilateral relations between France and North-East Asian countries. A graduate of IEP-Paris and the Institute of Asian Languages and Civilisations, he won the Foreign Affairs Ministry’s “Cadre Orient” competition, Asian Division (Chinese, Vietnamese). Assistant Secretary of State for Democracy, Human Rights and Labor, USA. Founder and President of Human Rights First, he has been at the forefront of the international human rights movement for 30 years. 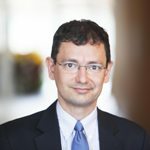 Previously, he was a lawyer with Sonnenschein, Nath & Rosenthal in Chicago, a lecturer at Yale Law School and a visiting lecturer at Columbia Law School. A member of the California Bar and the Illinois Bar, he received his JD from the University of California, Berkeley Law School and a BA from the University of Michigan. 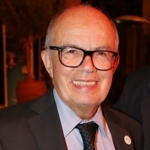 Former President of the Generalitat de Catalunya. Active in the Catalan autonomy movement from a very young age, he founded the political party Convergencia Democratica de Catalunya (CDC) in 1974. 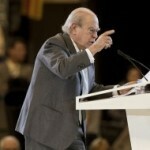 In May 1980, he became the 126th Head of Catalan’s autonomous government (President of the Generalitat). After 23 years in power, he gradually retired from political life after the 2003 elections. He still serves as President of the CiU and CDC. 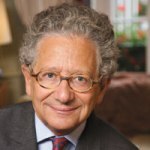 He earned a medical degree from the University of Barcelona and has received honorary doctorates from several French-language universities, including Lumière Lyon II, Paris VIII, Toulouse and the Catholic University of Brussels. Director, Institute of Contemporary International Studies, Diplomatic Academy in Moscow. He was Foreign Policy Advisor and Speech-writer to the General Secretary Mikhaïl Gorbatchev, Deputy Editor-in-chief, Moskovskie Novosti (Moscow news) and Deputy Director-General, Public and Media Relations, Russian Public TV. 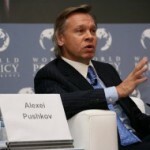 Since April 1998, he has been holding various positions, among which Fellow and member, World Economic Forum in Davos Executive Board; Editorial Board “National Interest,” Washington, DC; Political Commentator “Voice of Russia,” Moscow and member of the International Institute of Strategic Studies, London. He received a PhD in History and International Relations at the Moscow State Institute of International Relations. Algeria’s Minister of Urban and Rural Development, the Environment and Tourism. He previously held the following positions: Minister of Youth and Sports; Minister of Equipment; Minister on special assignment in charge of administering the Algiers Wilaya; Minister-Governor of Greater Algiers; and Minister of Urban and Rural Development and the Environment. He graduated from Algeria’s École nationale d’administration and received a PhD in Urban and Rural Development from the University of Poitiers in France. 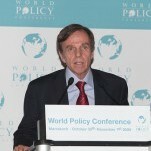 Former Director of the Energy Program at Ifri. He formerly served as Deputy Executive Director at the International Energy Agency (IEA), where he also managed relations with non-member countries. He also held the posts of Deputy Assistant Secretary of State at the US State Department and Ambassador Extraordinary and Plenipotentiary to the Republic of Congo. As Head of the Office of Energy Producing Countries, he oversaw bilateral discussions on energy issues between the United States and Mexico, Venezuela, Saudi Arabia, the Gulf Cooperation Council and Japan. He received a MBA in International Marketing from the University of Michigan and a Master’s in International Business and Raw Materials at Stanford University in California. Former Power Secretary of India. Energy expert and international negotiator. He was India Chair of World Energy Council. He is currently chairing the Energy and Environment Foundation, New Delhi, India, and also the Expert Appraisal Committee of the Ministry of Environment for Infrastructure and Coastal Projects. He is also Scientific Consultant for Energy Technologies, Office of Principal Scientific Advisor to Government of India for developing Advanced Ultra Super Critical Technology. He studied Physics and Law at Delhi University and has been a Visiting Fellow of the University of Oxford. Among various awards, he received the Hiralal Daga Gold Medal in Law. 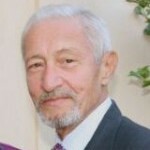 Agrégé in Public Law, Emeritus Professor of Public Law, University of Paris Panthéon-Assas, where he set up the Master of International Relations (2000-2012). He was Deputy Director of the UNIDIR, Geneva (1986-1996) and ad hoc Judge at the International Court of Justice in The Hague (2009-2012). 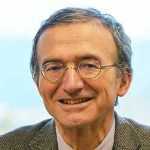 He is the founder and was director (1999-2012) of the Thucydides Center-Analysis and Research in International Relations, and remains director of the French Yearbook of International Relations (AFRI, since 2000). 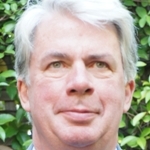 He is also Editor-in-chief of the bimonthly journal Questions internationales since 2003 (Documentation française). In 2008, he received the Edouard Bonnefous Award from the French Academy of Moral and Political Sciences, Institut de France. Special Advisor to the Chairman of the Board of the Alliance for a Green Revolution in Africa. 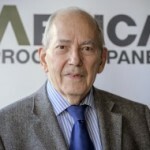 He brought AGRA more than 30 years of experience in management, policy development, and investment in rural development and agriculture in developing countries. Previously, he was the Assistant Director-General and Head of Technical Cooperation with the Food and Agriculture Organization of the United Nations in Rome. He has served in various senior capacities at the UN, worked with the Institute of Development Research in Ethiopia and the World Bank in Washington, DC. 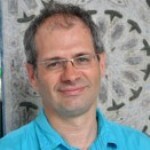 He has a PhD in International Economics and Development from Cornell University, Ithaca, USA. 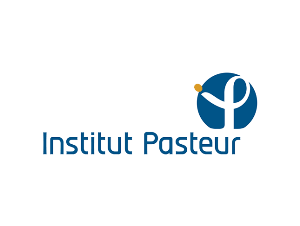 Professor at the Hassan II University of Casablanca and at Sciences-Po, Aix-en-Provence, France. 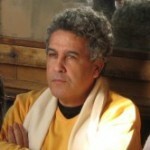 Researcher at the Mediterranean Laboratory of Sociology (Maison méditerranéenne des sciences de l’homme) and Director of the Centre marocain des sciences sociales de l’Université Hassan II, he is also Visiting Professor at New York University, Sciences-Po Paris, Université autonome de Madrid, and University of Venezia. 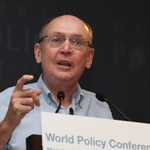 He works as an expert for many institutions like the Royal Institute for Strategic Studies, the World Bank, etc. He is the author of Monarchie et Islam politique, Presses de Sciences-Po. Former Foreign Affairs Minister of Kenya. 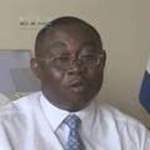 When the National Rainbow Coalition (NARC) took over in 2003, he became Information Minister after being elected as a Member of Parliament from Rarieda Constituency in the December 2002 parliamentary election. 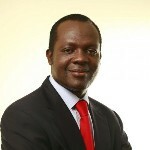 Prior to the 2005 referendum vote in Kenya, he formed the Progressive People’s Party and joined the NARC through the LDP. In the December 2007 parliamentary election, running as a candidate of Kibaki’s Party of National Unity, he lost his seat. He has a Master’s degree in Mass Communication from the University of Leicester. Senior Fellow at Bruegel, Brussels, and the Peterson Institute for International Economics, Washington, DC. 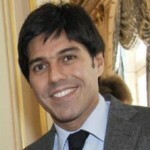 Previously, he has served as Chief Financial Officer of Multi-Mania, renamed Lycos France, Corporate Advisor to Minister Martine Aubry at the French Ministry of Employment and Solidarity and Economic Advisor to the Préfet of the Nord-Pas-de-Calais Region (Lille, France). 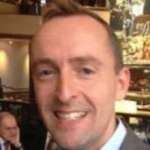 He also worked at Rothschild & Cie Banque and VEGLA, part of Saint-Gobain Group. Education: École nationale supérieure des mines de Paris, degree of “Ingénieur de Corps Techniques de l’État,” and École polytechnique, degree of “Ingénieur polytechnicien.” Latest publication: Le Grand Déréglement : chroniques du capitalisme financier, Éditions Lignes de repères, March 2009. Former President of PricewaterhouseCoopers France, a member firm of the worldwide network of PricewaterhouseCoopers International (PWC). 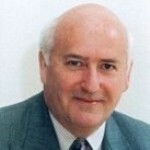 He joined Coopers & Lybrand in 1979 and was admitted to the partnership in 1989 on qualifying as Statutory Auditor. During his 30 years with PWC, he has held a number of other senior positions in management and governance within the firm in France, in Europe and at the international level. In 2007, he set up the PricewaterhouseCoopers France Foundation for Culture and Solidarity. In 2010, he published Le patron qui aime les littéraires (éd. Lethielleux/DDB). He is a graduate of the Ecole Supérieure de Sciences Economiques et Commerciales (ESSEC). 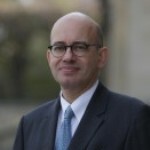 Director, Center for Applied Policy Research, Munich, he holds the Chair of Political Systems and European Integration at the Ludwig-Maximilians-University. He was Professeur associé at the Sorbonne in Paris and worked for the German government as Coordinator for German-American Cooperation. 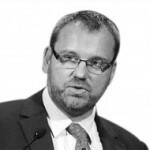 He edits the journal International Politik and is a member of the Board of the German Society for Foreign Affairs (DGAP) in Berlin, of the Institute for European Policy in Bonn and of the Bertelsmann Foundation in Gütersloh. Graduation as PhD and habilitation in political sciences. 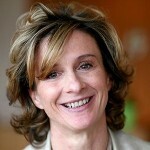 Head Corporate Affairs and Executive member of Novartis. 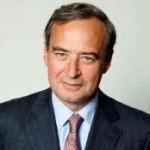 After having started his career with McKinsey and Co., Switzerland, as a Partner and Senior Partner, he was, at Crédit Suisse, a member of the Group Executive Board, initially responsible for the Group’s insurance business before becoming CEO of the Financial Services Division. He graduated with a PhD in Systems Engineering and a MS in Chemical Engineering from the Swiss Federal Institute of Technology Zurich. He also holds a MBA from the University of Zurich. He began his career in the UK working in both the House of Commons and the House of Lords as a political advisor before moving to Brussels to take up a post in the European Parliament. 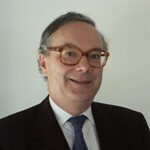 He later joined Burson-Marsteller providing public affairs support to business, NGO’s and political groups in Brussels, London and San Francisco. He also held public affairs and corporate responsibility for Europe, Middle East and North Africa for BHP Billiton, the world’s largest Mining Group. Co-chair of SouthBridge, a Financial Advisory Service company dedicated to Africa. 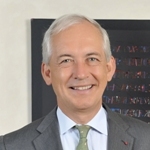 Chairman of the Fondation de l’École Normale Supérieure and of Terra Nova think tank. Former Prime Minister of Benin (2015-2016). He started his career as a lecturer in economics at the University of Paris 13 and was a member of the Department of Industry’s Minister’s Office and the Prime Minister’s Office. In 1986, he joined Danone where he held various positions, including Corporate Development Director and then CEO of the grocery division. In 1997, he joined the Rothschild Bank as General Partner; he was Head of the Consumer Products Group, Head of Middle East and Africa. He then served as CEO of the Private Equity firm PAI Partners (2009-2015). He graduated from Ecole Normale Supérieure, Sciences Po, the London School of Economics and La Sorbonne in history and economics. He is a “professeur agrégé de sciences économiques et sociales”.